As you’ve probably noticed, our website has undergone a change, as the first step towards a larger redesign and improvement of the website, which should take place over the coming months. Due to the high volume of appointments and bookings, we thank you for your patience & support during this transition. That’s right! 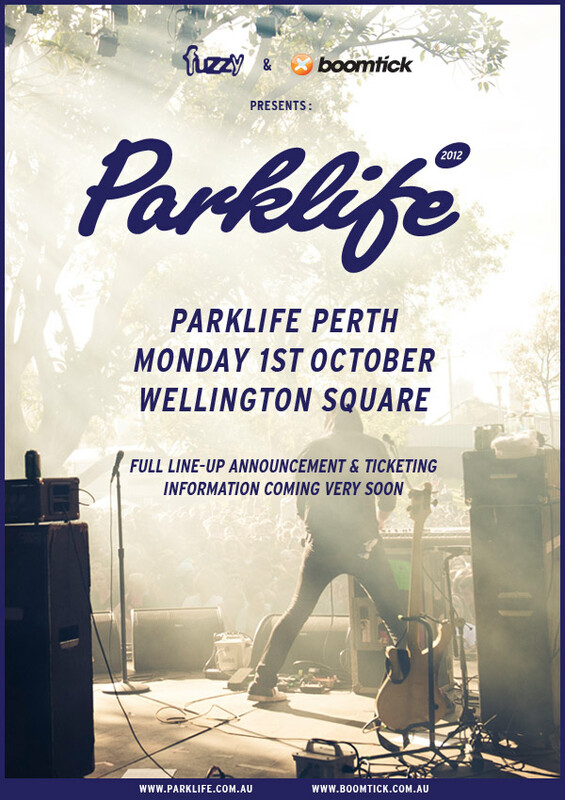 We’ve got exclusive dibs on the first Parklife 2012 Industry Tickets in Perth – aaaaaand a delicious price for those clever early-birds amongst you! These are strictly limited and only available till the 1st of July. Sounds good? Click on the flyer below! 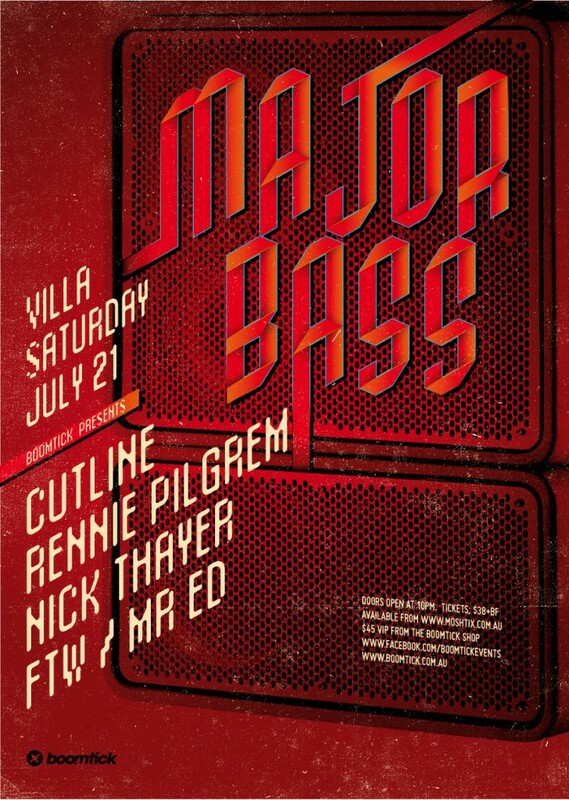 Major Bass ft. RENNIE PILGREM, Cutline & Nick Thayer! What’s Major Bass, I hear you say? It’s the new name for Perth’s favourite mid-year show, formerly known as Major Break. Industry tickets are available now at a specially discounted price AND free postage. Grab Summadayze tickets now & you could win a trip for two to New York! That’s right – Future Music are running a comp right now and it’s super easy to win big! All you need to do is grab industry tickets here, before prices go up to $140ea this Monday, then once you’ve got your tickets, visit the Future Comp page to enter! Check out the flyer below to see some newly added artists too. Just an update to let you know there’ll be some down-time on our Gallery while our service provider performs upgrades and implements new features. This will occur between 7:00PM – 10:00PM Australian WST. Cheers for your understanding and stay tuned as the next event we’re covering, is the World’s largest New Year’s Eve party in Melbourne, Armin Only Mirage! 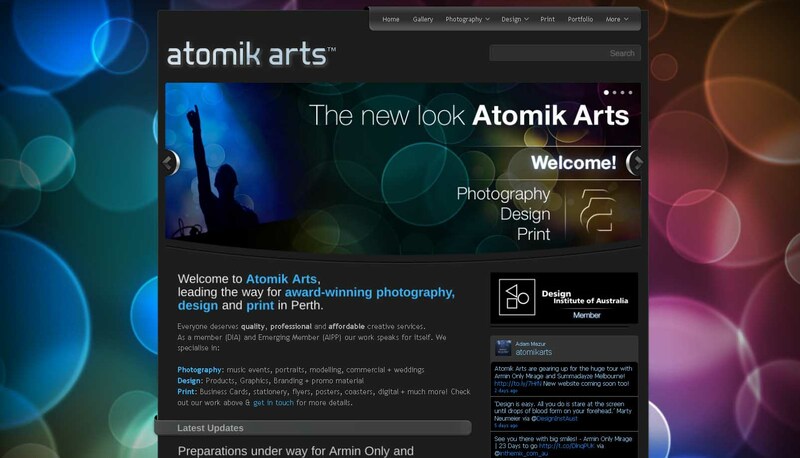 After many sleepless nights and extensive development during a busy time of year, we’ve finally revamped the Atomik Arts website with a fresh new appearance, new content, slideshows and better news update integration. With time we hope to iron out a few kinks and update the services pages and create some pricing tables to provide you with clarity and transparency not offered by any other creative services studio in Perth. We know you’re short on time and so we hope to update the user interface and navigation to improve access to info of what we offer, pricing and the latest updates. Contact us through the contact page if there are any issues, suggestions and feedback! With the 2010 Perth Dance Music Awards coming soon, we’d love you opinion on our ’67 Moments’ album & place a comment, reflecting your opinion on the photos that you think should be our Top 5 for submission! This will greatly help us prepare for the 2010 Perth Dance Music Awards as we look forward to the possibility to win the award for the second year running! Comments on the gallery close Wednesday 20 October, 6pm WST (+8GMT) !! Don’t forget to follow the latest news via our Twitter and Facebook pages, links to your right! Most bookings and packages now need a 50% deposit to secure commencement of work – We have a recent bad experience with one customer who’s invoice is 6 months overdue so unfortunately we’ve needed to put this measure into place to protect Clients and ensure that we can provide you with the best possible service. If you’re a club or not-for-profit organisation, get in touch with us for your design, branding and photography needs and save 50% on everything! Contact us for more details or to make a booking. In other news, our trend-setting Atomik Arts Gallery has recently clicked over the 40,000 visitor mark, since its launch in late April, which is pretty impressive! Also in the coming months we hope to revamp our Facebook page and also the whole site, to undergo a snazzy revamp! So keep an eye out for that! Nocturnal Ball photos now up! Just two short updates – Monday night’s 14th Annual Nocturnal Ball is now up and within 24 hours we’ve had over 2500 viewers already! See the costumes, the colour and the fun of the night, only on gallery.atomikarts.com. See link above! Also, you’ll notice small changes to our Party and Photography packages providing more value for customers with large discounts being offered for prints when a package is booked! This also aligns the ordering of prints to your exclusive online gallery. As always, get in touch with us to make a booking or if you have any feedback we’d be glad to hear it!